If you are planning to pursue Masters in Information Systems, you will definitely be inclined to know the impact this will have on your career. Choosing MIS Admission Counselling services, you will get to know the wide range of jobs that are available in the market for candidates who are through with their MIS programmes. After a few years of experience, you can reach this position with an MIS degree backing you up. 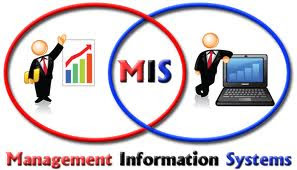 During MIS Admission Counselling you will be given insights into the role of a Business Analyst in an organization. Though MIS programme concentrates both on technical and managerial skills, you need to have a strong business understanding in order to reach this position. As a BA, you will be ensuring process orientation and efficient use of resources, and eliminating non-value added work, thus reducing the overall costs and creating value for the customers. In this job profile, you will get exposure to different types of systems, hardware and software. As a Systems Analyst, you will have to ensure that the organization achieves maximum benefits through its investments in the various systems, software and hardware. If you are a person who loves challenges, the MIS Admission Counselling services will recommend that you go for a career in this area as you may have to design new systems or come up with effective solutions to increase a system’s power. If you already have relevant experience in the field, the MIS Admission Counselling services will definitely suggest an MIS programme which will bring you closer to achieving your career goals. As a Consultant, you will be instrumental in providing the best possible solution to the client after doing thorough analysis. As MIS Admission Counselling experts will inform you, if you choose to be a Network Analyst, you will be handling the installation, configuration and maintenance of all network components within your company like the LAN, WAN or even the Internet system. As you gain more experience in the area, you will be able to identify the business issues and provide technical solutions. Your MIS Admission Counselling expert will brief you on how you will be required to plan, design, analyse and provide technical support to a group of networks within the company which might require you to do extensive research before providing any recommendation. Data modelling, data integration, data analysis and design are some of the skills you will need to play this role efficiently. The MIS Admission Counselling services will help you zero in on the universities that will help you acquire these skills to smoothly play the role of a Database Architect or Administrator. The MIS Admission Counselling services will tell you that this the lowest job title in the field. If you do not carry any work experience, you might have to start at this level even after completing an MIS programme. But this will give you huge amount of exposure to designing programmes based on the requirements of the client.